what's next? teddy bear sweater vests? call them high-waisted. call them this year’s hottest fashion trend. 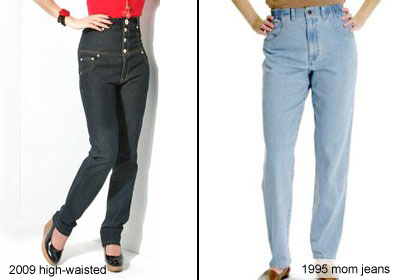 call them a bloody taxi and send them back to wherever they came from because no matter what you call them, mom jeans are still mom jeans. ‹ Wrestlers and hockey and smurfs. Oh my!